If you’re trying to figure out something fun to do with your mom, how about a movie night? The funny new flick Mother’s Day, starring Jennifer Aniston, Julia Roberts and Kate Hudson, is in theaters now. Look for our review on CaliforniaLifeHD.com! 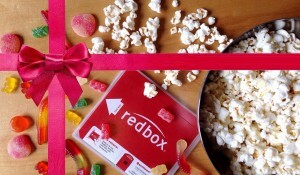 Just add popcorn and snuggle-up with mom. Trust us, she’ll love getting to spend time with you AND her favorite movie!